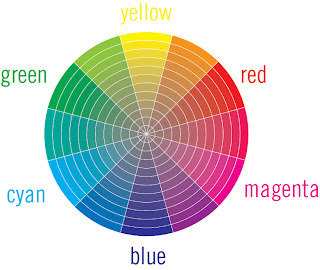 This ain't your momma's color wheel. Note that it includes both RGB and CMY(K), this is because it is both awesome and perfect. If you'd like to have your very own delicious PDF version of the wheel I made, you can download it here (Illustrator PDF, so it's all editable and swatch-makin' ready). 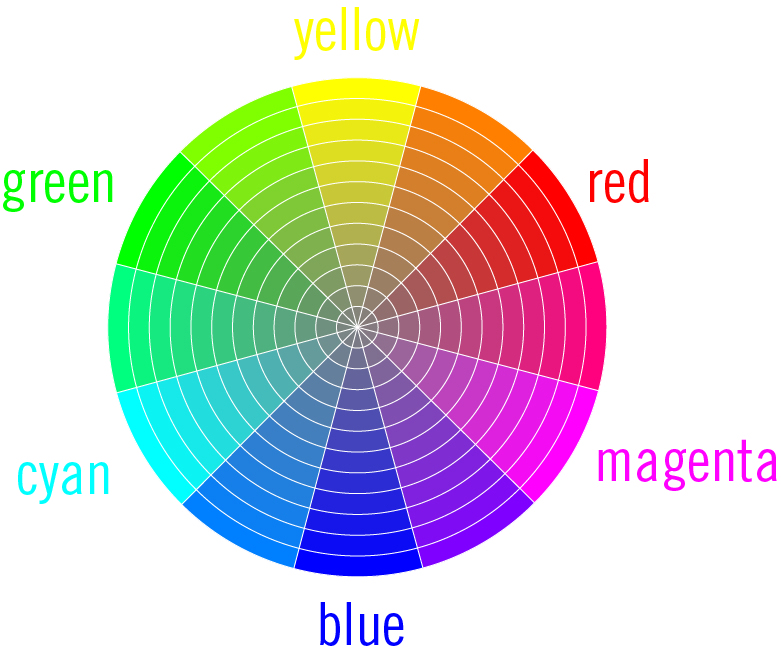 I've found the wheel to be endlessly useful in both my painting and digital work, as it provides as close to a full (and accurate) spectrum as you can get. Because it consists of 6 primary colors, instead of the standard 3, it is able to show the true complements to each of the colors we see. This allows for more compelling (and, indeed, more accurate) color schemes than the standard red-yellow-blue primary wheel we grew up with. A tetradic built with this bad boy will blow your friggin mind.